Bennett Land Surveys - Surveying Squamish - Call Us! Bennett Land Surveying brings the same leading edge equipment and decades of knowledge and experience to every project. With our dedicated Sea to Sky office in Squamish, we can respond quickly to your commercial, residential or recreational project needs. As your Sea to Sky surveyors we live, work and play in the Sea to Sky corridor. Bennett provides full surveying services to Squamish, Whistler, Pemberton, Lillooet, Gibsons and beyond. It's an exciting time with such dramatic growth in the area. I'm pleased to be one of two Bennett BC Land Surveyors committed to serving homeowners and developers in the area. Give us a call! "As a Squamish resident I’m pleased to bring over 40 years of surveying expertise back to our Sea to Sky community with a dedicated office. Contact me directly to get Bennett working for you." 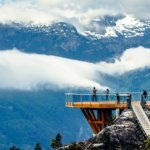 Located on the beautiful Sea to Sky Highway, the Sea to Sky Gondola is a ground-breaking project that has been a catalyst for change in the community of Squamish. 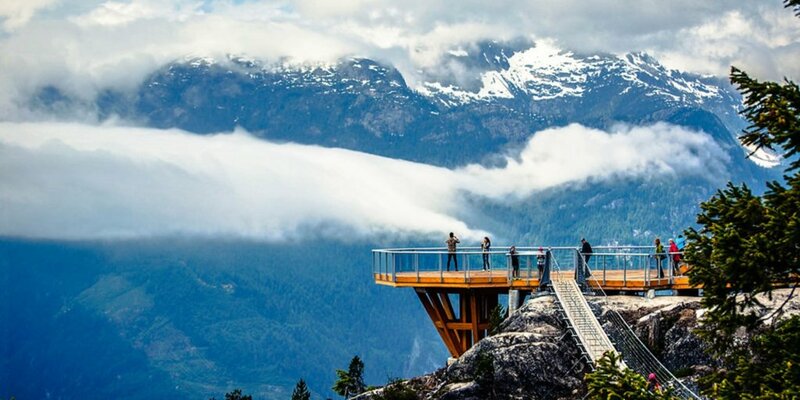 Bennett Land Surveying provided the surveying services to derive the LiDAR UTM coordinates of the project, the creation of a statutory right of way through the Stawamus Chief Provincial Park, the layout of the gondola towers and all construction. An Easy Choice For All Our Projects. Contact John or Tyson at Bennett, your sea to sky surveyors to start your project on solid footing. We are a firm of BC land surveyors with offices in North Vancouver, Kelowna, Surrey, Gibsons and Squamish, BC. We have been active in British Columbia for over 35 years. Our projects range from surveys of individual lots for homeowners to some of the most complex residential and commercial projects in the Lower Mainland and beyond. We strive for unbeatable efficiency in all our projects, using state-of-the-art equipment and software. Our senior staff members have experience locally and around the world in every facet of land surveying. Whether you need surveying for new construction, real-estate purchases, developments or renovations, we can help.